I’m sure you’ve already got the hang of Grepsr for Chrome by now. If you’re like some of our users who are inquiring about data delivery on the app, then this blog is for you! Once you’ve set up your project and the app starts to extract your data, depending on the volume of data requested, it might take anywhere from minutes to hours for the extraction to complete. Rather than having to wait or check back every now and then for a download link to be available, we advise you to set up a delivery method within the app, so you’ll receive your file(s) as soon as the data is ready. Like it says in the page itself, when you choose this option, the app sends you an email with download links to your files as soon as the data extraction is complete. 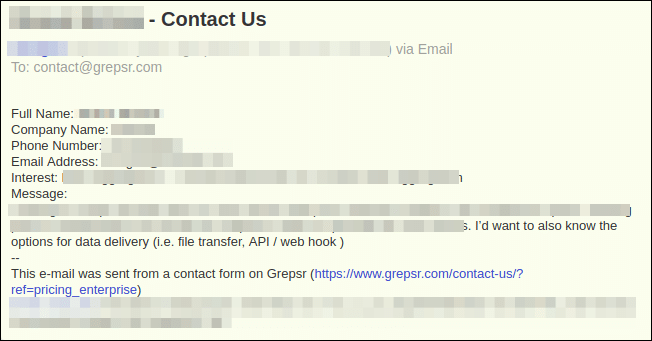 The default email address is the one you used to sign up to Grepsr. If you want us to send the files to multiple addresses, simply add them to the list and save. If Dropbox is your preferred file storage client, click Add Dropbox and you’ll be asked to sign in (if you haven’t already) and then prompted with the following message in the resulting page. 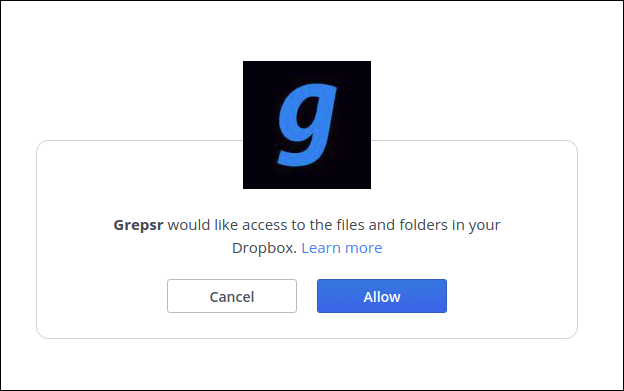 Then click Allow to grant Grepsr permission to access your Dropbox, configure your folders and we’ll sync your files directly to your account as soon as your data is ready. 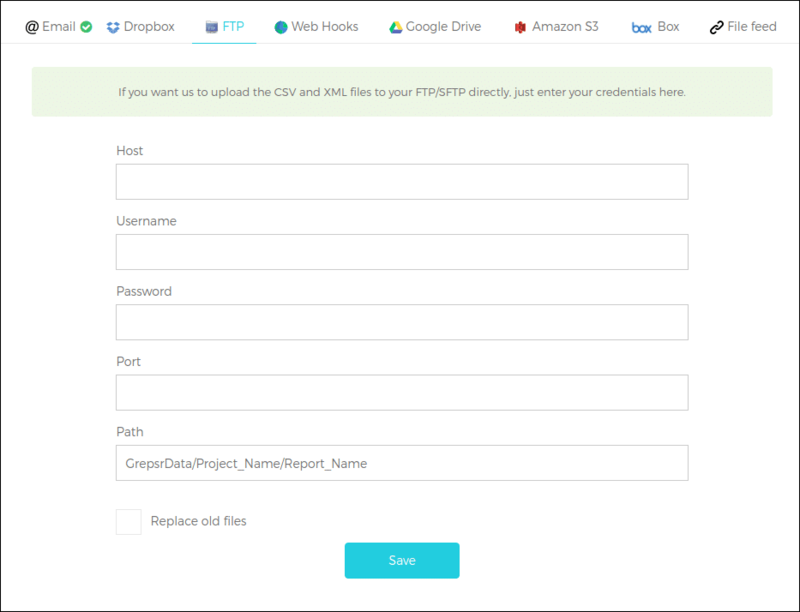 Fill out the form with your credentials — Host, Username, Password, Portand Path — and save if you want to push the files directly to your own FTP/SFTP server. Enter a callback URL where you’ll receive the notification once your data is ready and save. The URL will be requested using POST method and will include download links to your files as parameters. Like we did for Dropbox, click Add Google, and you’ll be prompted with the following message, assuming you’re already logged in to your Google account. In case you have multiple accounts, as shown above, pick one where you want your Grepsr files to be sent and you’ll be redirected to the following page. 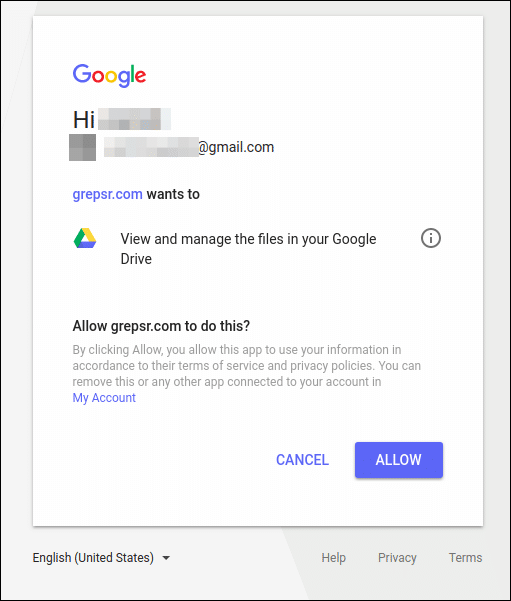 Here, just click Allow to let Grepsr upload the files to your Google Drive directly every time your data is ready. 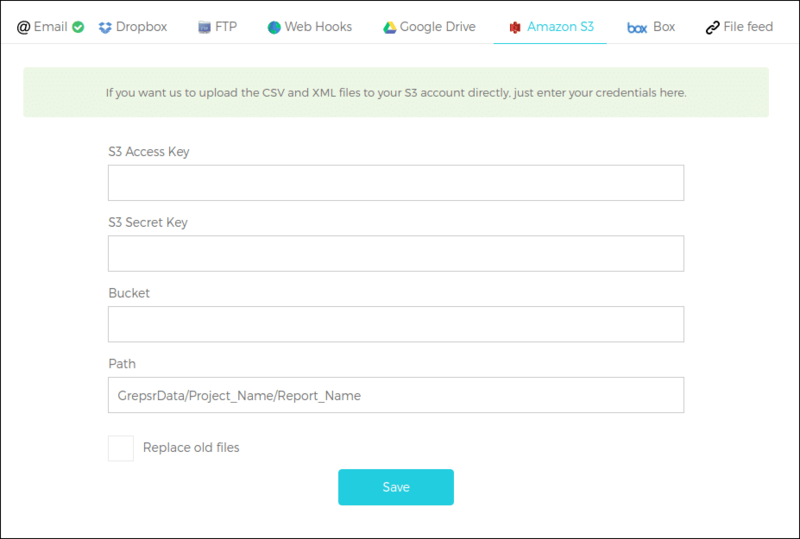 If you’d like to receive your Grepsr data directly in your Amazon S3 account, simply fill out the form with your credentials — S3 Access Key, S3 Secret Key, Bucket and Path — and save. 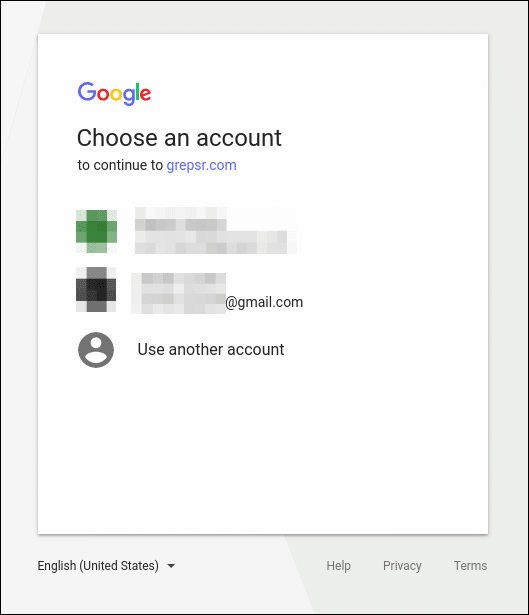 Similar to Dropbox and Google Drive, when you click Add Box, you’ll be prompted to sign in and then allow Grepsr access to your Box account so your files can be uploaded directly when the extraction is complete. The File Feed is where you’re given two direct download links — Latest gives you the data from the latest extraction, whenever it may have been, while All gives you data from the report in its entirety since the first crawl. Both URLs provide data as CSV files. So go ahead and set up your preferred delivery method — it’ll only take you a couple of minutes! Let Grepsr take care of extracting and delivering your data at your convenience.